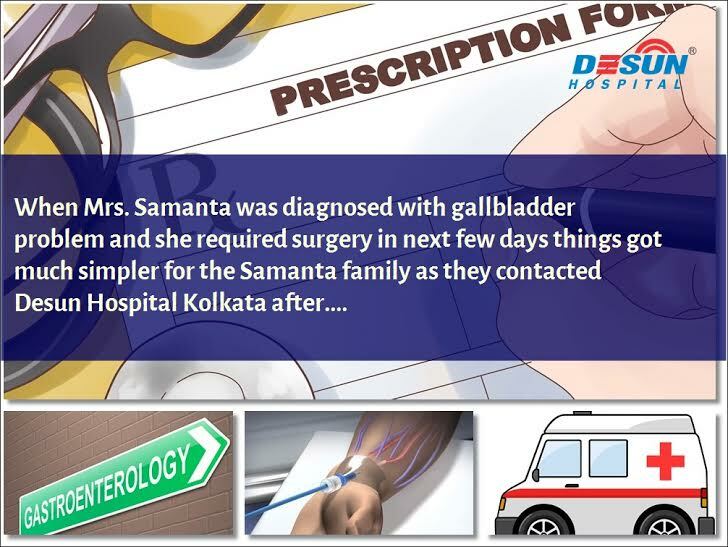 When Mrs. Samanta was diagnosed with gallbladder problem and she required surgery in next few days things got much simpler for the Samanta family as they contacted Desun Hospital Kolkata after some search in the internet. Desun hospital is a PPN hospital and have applicable facilities for medical insurance holders. Mrs. Samanta completed the few simple steps like submitting her insurance papers, diagnostic reports, doctor’s prescription and also the consultation report with the specialist doctor at the hospital and soon within few days she was admitted, underwent the surgery the next day and after 3 days completing the formalities and paperwork she was released from the hospital. Medical insurance can make things simple, especially if it is a PPN hospital. The Samanta family made no initial deposit as they had a pre-approval from their TPA and only paid the remaining amount that was not covered by the Medical Insurance. In the case of Mr. Chandan Roy Chowdhury he was admitted in an emergency with chest pain. The family just called up the 24 Hours emergency helpline number at Desun Hospital Kolkata and the ambulance was rushed to their residence and soon Mr. Roychowdhury was in the hospital where the specialist doctor visited him. The Trop-T test confirmed a heart attack. The patient was administered medical support in form of medicines and equipment to stabilize and soon after 2 days he underwent an Angioplasty. The patient family on the day of admission was just carrying the TPA card of Mr. Roy Choudhury and he was admitted without any deposit money. The next day the insurance documents were sent to the TPA and all required steps were completed soon. The medical insurance approval amount covered a large part of the pre –procedure expenses, the procedure related expenses and only the remaining was paid by the patient family. 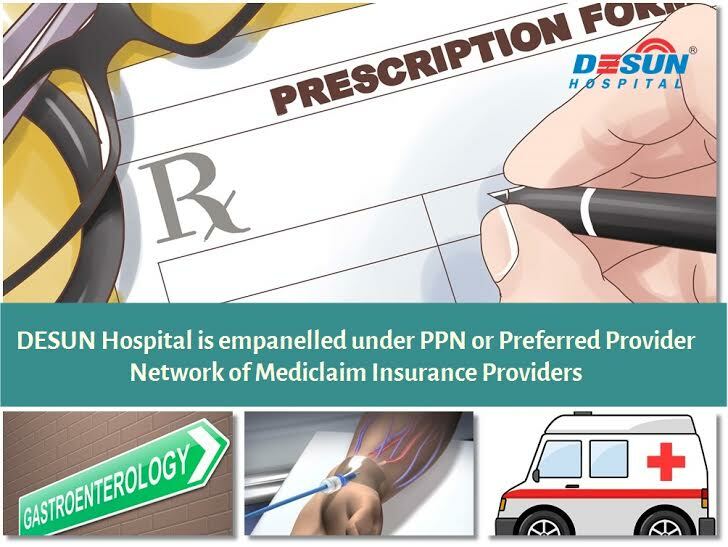 DESUN Hospital is a PPN hospital, PPN is Preferred Provider Network – it is a list of hospital networks who provide cashless mediclaim admission facility for patients who own a valid medical insurance policy. PPN network hospital are preferred by Medical insurance companies in India as the insurance company do not need to worry about abrupt surgical procedure or hospitalization bills as raised by many hospitals in India. The Preferred provider network hospital like Desun Hospital has pre-fixed ceiling rates for various hospital and surgical facilities. It is an extensive list of procedures, surgery and hospital facility that all has a highest rate or regular rate fixed. The TPA and medical insurance companies are okay with such rates. So pre-approvals and approvals during patient release is not a problem. Things move fast as per the terms and conditions of agreement between Insurance Company and insured person or family. 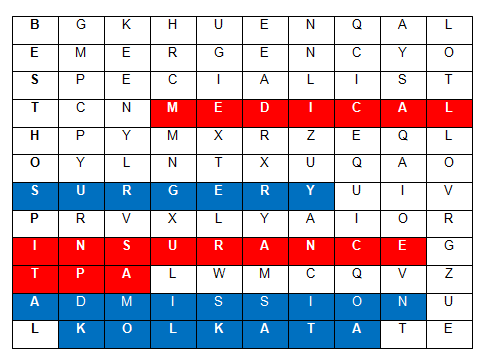 Most of the rules of reputed medical insurance companies are uniform other than few rules may be particular to the medical insurance company. TPA or the Third Party Administrator plays a vital role between the patient party, hospital and medical insurance company regarding renewals, pre-approval communication, hospital correspondence and patient communication. They coordinate the entire thing. In many cases patient party can contact TPA and inform them about patient admission in email or face to face completing formalities, many hospitals have Mediclaim departments who do all the correspondence on behalf of the patient as the patient party provides all required documents. At Desun Hospital Kolkata the Mediclaim management department does take care of all such correspondence. For Non Mediclaim patients they may need to pay initial deposit and also the entire cost of hospitalization, surgery and other associate cost in cash. Desun hospital Kolkata being a TPA mediclaim hospital is one of the best hospitals in Kolkata to avail state of art health care facility with cashless mediclaim facility. Desun hospital has more than 700 heart and non-heart surgery packages online with required details, patients can contact desun hospital Kolkata with required test reports, doctor’s prescription for exact package cost of procedure. This entry was posted in Health Care and tagged 24 Hours emergency, 24 hours heart hospital, 24 hours medical emergency, angioplasty surgery cost India, angioplasty surgery procedure cost India, Best Hospital Kolkata, cardiac Hospital Kolkata, Cashless Hospital Admission Kolkata, Cashless Medical Insurance Hospitals Kolkata, Cashless Mediclaim Hospital Kolkata, PPN Hospital kolkata, PPN Hospital List kolkata. Bookmark the permalink.